The engineer who works next door to us liked our April Showers stand so much that he asked us to build a large model for his backyard. 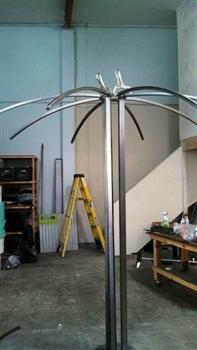 The umbrella is 8′ tall with an 8′ diameter canopy. Why so tall? He planted grapes at the base which will grow up through the center and ultimately trellis over and through the canopy. The engineer who works next door to us liked our April Showers stand so much that he asked us to build a large model for his backyard. 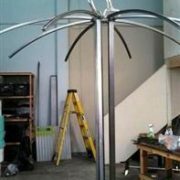 The umbrella is 8' tall with an 8' diameter canopy. Why so tall? 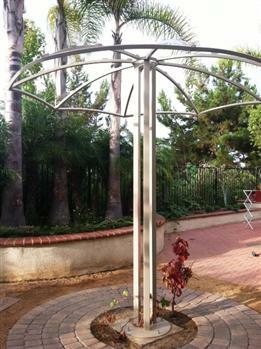 He planted grapes at the base which will grow up through the center and ultimately trellis over and through the canopy.